I love me a good liquid eyeliner, and have been a big fan of Kat Von D’s lately, but I decided to give another brand a chance. Ciate is comparable in price, and it had pretty good reviews at Sephora.com so I went for it. I liked the packaging, very nice metallic geometric design, and classy with the black and white theme. I was super excited to try it out, until I realized the chisel tip wasn’t as awesome as it flaunts. It was difficult to create a straight line with this liner due to smudging, and the fact you have to wait for it to dry. I felt the tip was too wet, and if you don’t hold the liner at the correct angle, too much product comes out. A bit wobbly, but the color is a nice, intense and rich shade of black. The most important tips when working with this eyeliner are: to apply while holding the liner at a 90Â° angle, and not applying too much when lining the inner eye, since that’s where the smudging usually occurs. Holding the liner at a 90Â° angle is a must with this eyeliner, otherwise it makes a huge mess. As I mentioned, the color is nice and intense, it does stay on all day without further smudging and comes off easily when washed off. However, if I am paying $20 for an eyeliner, I expect it to dry quickly without having to wait with my lid closed, and to be able to draw a straight line without a hassle. Will I be buying it again? Nope, a bit disappointed since I have purchased drugstore brands that work better than this one. Think I will stick to other liquid liners for a while. Check out a few of my favorites below. 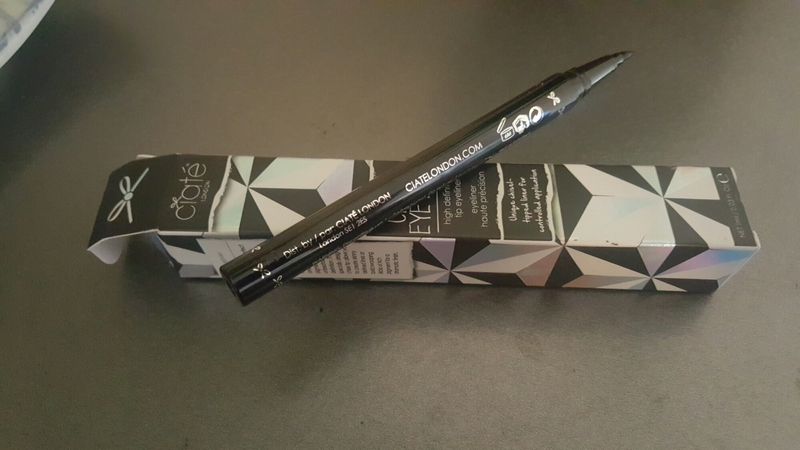 Have you tried Ciate chisel eyeliner, did you like it or was your experience similar to mine?